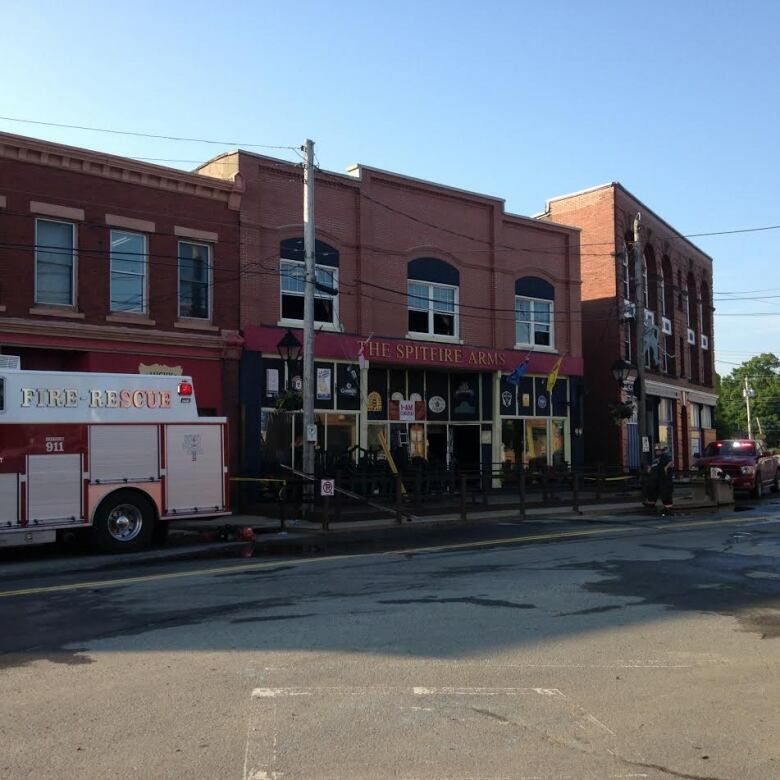 A popular pub in downtown Windsor in Nova Scotia's Annapolis Valley was heavily damaged after a fire burned through the building Tuesday morning, but there's already talk of reopening. An RCMP officer on patrol spotted smoke at the Spitfire Arms Pub on Water Street around 2 a.m. and called the fire department. "We're very well established. Very well known, well supported. We hope to bring it back up and lift it back up again," said Sarah-Jean MacDonald, the general manager of the Spitfire Arms. Across the street from the pub, the business's owners and staff gathered to assess the damage. Patrons dropped by to offer their support. Many say the pub is the social centre of the town. "It's pretty chaotic right now. We really are one big family," said MacDonald, who has worked at the pub since it opened a little over 12 years ago. "We hope to all come together as the family of the Spitfire and a community. Everyone is devastated." 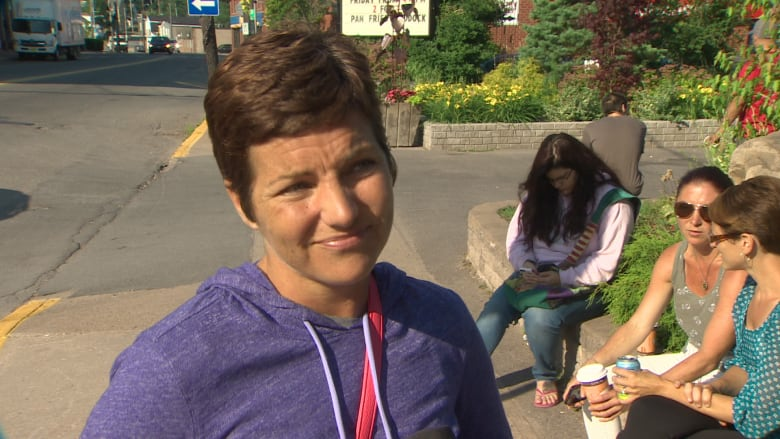 MacDonald says the 5 a.m. call from the pub's owner was her "worst nightmare." Scott Burgess, the chief of the Windsor Fire Department, says about 35 firefighters from several neighbouring departments were called in to help extinguish the flames. Crews worked to control the damage for five hours. "Structurally, we think it should be fine. But the interior is a mess," said Burgess. "We did have a fairly early warning on it, which is good. It helps. Twenty minutes later and we may not be having the same discussion." The pub had closed by the time the fire started and no one was injured. Burgess says it appears the fire started on the first floor of the two-storey building but the cause won't be known until the fire mashal finishes investigating.